It’s Christmas Eve, 1927. 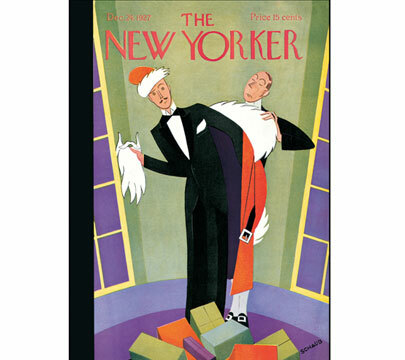 Straight from the cover of The New Yorker magazine, Jeeves is helping this city sophisticate into his Santa suit so he can go out and deliver holiday packages. Inside, the card reads: “Wishing You a Merry Christmas and A Happy New Year.” Box of 8 fun cards (5” X 7”) with envelopes.